I assure you, brothers, the gospel I proclaimed to you is no mere human invention. I did not receive it from any man, nor was I schooled in it. It came by revelation from Jesus Christ. You have heard, I know, the story of my former way of life in Judaism. You know that I went to extremes in persecuting the Church of God, and tried to destroy it. But the time came when he who had set me apart before I was born and called me by his favor chose to reveal his Son to me, that I might spread among the Gentiles the good tidings concerning him. Immediately, without seeking human advisers or even going to Jerusalem to see those who were apostles before me, I went off to Arabia; later I returned to Damascus. Three years after that I went up to Jerusalem to get to know Cephas, with whom I stayed fifteen days. I did not meet any other apostles except James, the brother of the Lord. 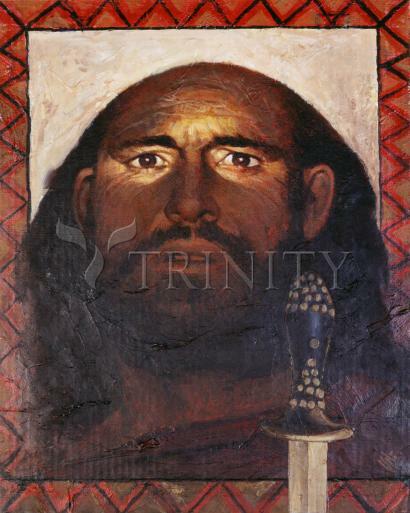 The communities of Christ in Judea had no idea what I looked like; they had only heard that "he who was formerly persecuting us is now preaching the faith he tried to destroy," and they gave glory to God on my account. His feast day is January 25. Saint Paul, the Apostle, original name Saul of Tarsus (born 4 bc?, Tarsus in Cilicia [now in Turkey]—died c. ad 62–64, Rome [Italy]), one of the leaders of the first generation of Christians, often considered to be the second most important person in the history of Christianity. In his own day, although he was a major figure within the very small Christian movement, he also had many enemies and detractors, and his contemporaries probably did not accord him as much respect as they gave Peter and James. Paul was compelled to struggle, therefore, to establish his own worth and authority. His surviving letters, however, have had enormous influence on subsequent Christianity and secure his place as one of the greatest religious leaders of all time. Of the 27 books in the New Testament, 13 are attributed to Paul, and approximately half of another, Acts of the Apostles, deals with Paul’s life and works. Thus, about half of the New Testament stems from Paul and the people whom he influenced. Only 7 of the 13 letters, however, can be accepted as being entirely authentic (dictated by Paul himself). The others come from followers writing in his name, who often used material from his surviving letters and who may have had access to letters written by Paul that no longer survive. Although frequently useful, the information in Acts is secondhand, and it is sometimes in direct conflict with the letters. The seven undoubted letters constitute the best source of information on Paul’s life and especially his thought; in the order in which they appear in the New Testament, they are Romans, 1 Corinthians, 2 Corinthians, Galatians, Philippians, 1 Thessalonians, and Philemon. The probable chronological order (leaving aside Philemon, which cannot be dated) is 1 Thessalonians, 1 Corinthians, 2 Corinthians, Galatians, Philippians, and Romans. Letters considered “Deutero-Pauline” (probably written by Paul’s followers after his death) are Ephesians, Colossians, and 2 Thessalonians; 1 and 2 Timothy and Titus are “Trito-Pauline” (probably written by members of the Pauline school a generation after his death).